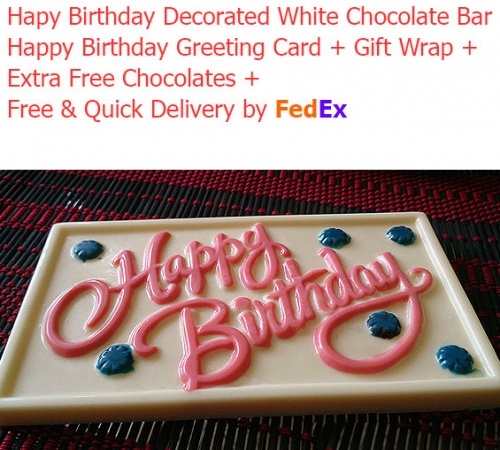 Happy Birthday Emboss Print on yummy white chocolate bar, it is beautiful gift idea. You want to wish your dear friend or relatives or someone at your workplace on their birthday, just order this tasty decorated white chocolate bar and get it delivered by FedEx. At back side of the chocolate bar is decorated beautifully with lots of Cadbury germs and other edible sprinkles. This chocolate bar comes with a Archies birthday greeting card. The chocolate bar size 6"" x 4"" weight minimum of 200grams. If you have any specific greeting card to be sent, please inform us at our email ID with your order number. Or enter your instructions in ""Custom Message"" option right after this description at below. 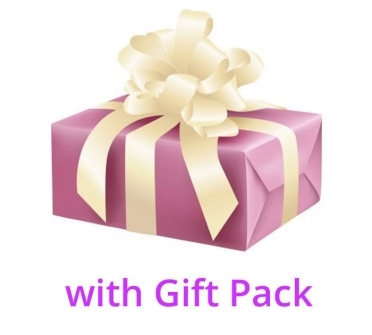 We offer shipping all over India by FedEx. Every chocolate is handpicked and packed nicely and have life span up to 100 days.Every chocolate is made fresh with order. All chocolates are 100% Veg chocolates.